Brodinski can be booked through this site. Brodinski entertainment booking site. Brodinski is available for public concerts and events. Brodinski can be booked for private events and Brodinski can be booked for corporate events and meetings through this Brodinski booking page. Unlike most middle agents that would mark up the performance or appearance fee for Brodinski, we act as YOUR agent in securing Brodinski at the best possible price. We go over the rider for Brodinski and work directly with Brodinski or the responsible agent for Brodinski to secure the talent for your event. We become YOUR agent, representing YOU, the buyer. In fact, in most cases we can negotiate for the acquisition of Brodinski for international dates and newer promoters providing you meet professional requirements. Brodinski is the most exciting dj and producer to explode onto the scene in recent years. Yes, he may hail from France (Reims, Lille) but he is quite unlike any of his Parisian peers. 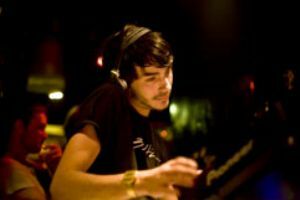 His taste in music is broad and this is reflected in his own productions and dj sets which may encompass noisy techno, bass heavy house through to more melodic minimal. His programming is impeccable and he plays with such spirit that his 62 frame jerks and bounces when he gets excited by a track (yet he is never fuelled with anything more than Fanta Lemon!). The hot fuss started with his debut track Bad Runner which leaked onto blog sites months before it's release on Mental Groove in October 2007. Supported by everyone from Soulwax, Tiga, Chloe, Erol Alkan, A Trak, Busy P, Switch and Laurent Garnier the track peak time techno with Martian's yakking through it was one of the sleeper hits of the year. Book Brodinski for your next event! Would you like to have Brodinski perform at your next corporate event, party or concert? Simply fill out the simple interest form below, and we’ll start the booking process.